Motorola won't be making a big show at IFA 2014, but it'll trying to steal some of the limelight with its own big event in Chicago on September 4. The company has just fired out invitations for a big Motorola show, which strongly hints that we'll be seeing the Moto X+1 and a new Moto G phone unveiled, while also suggesting that a release date for the Moto 360 smartwatch is on the cards. The animated invitation shows a colourful paper fortune teller displaying a phone with an X on the screen, another with a G on it, and a very Moto 360-esque watch. Oh, and some sort of Bluetooth headset. 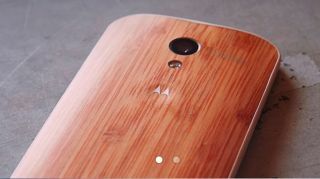 It's not like Motorola's being subtle about any of this.